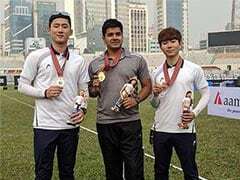 Akash Malik trains under South Korean coach Kim Hagyong at the Army Sports Institute in Pune. 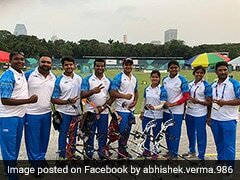 Akash Malik became India's first silver-medallist in archery at the Youth Olympic Games, providing a fitting finale to the country's best-ever campaign at the marquee event. The 15-year-old, son of a farmer, lost a one-sided final to Trenton Cowles of the USA 0-6 as India concluded the Youth Games with three gold, nine silver, and one bronze at the event that was launched in 2010. 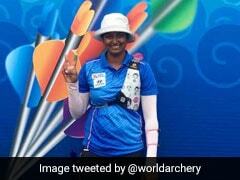 Seeded fifth after qualification, the Haryana archer was inconsistent in the summit clash against the 15th seed Cowles, who only shot in 10s and 9s to wrap up the tie easily. In the three-setter, both the archers shot four perfect 10s, but Akash's two wayward 6s in the first and the third set proved to be the decisive factor. "I have trained in the wind, but here it was too much," said Akash. 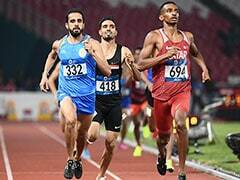 "I feel good but I lost the gold medal," added the school-boy after bettering Atul Verma's feat of a bronze at the Nanjing edition of the Games in 2014. 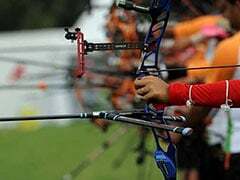 Akash took up archery six years ago after Manjeet Malik, a physical-trainer-turned-archery-coach, picked him during a trial. "He was very calm and composed and I thought he could shoot arrows steadily. He now shoots with confidence. It was raining as well when the final started," the coach told PTI. In 2014, Akash was part of the recurve boys team which won a gold medal at the mini national (under-14) archery championship in Vijayawada. 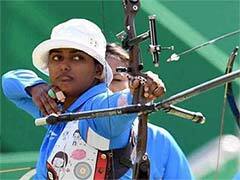 Akash went on to clinch a gold medal in the Youth Olympics qualifying event last year. He also won a gold medal at Asia Cup Stage-I, two bronze in Asia Cup Stage-II and a silver and a bronze in the South Asian championship, in the last one year. "It's indeed a proud moment for me and all the hard work is now paying off," Malik, who has about 80 students at his private academy, said. Akash is currently enrolled by the Olympic Gold Quest and trains under South Korean coach Kim Hagyong at the Army Sports Institute in Pune. Making a solid start to the final, Akash started off with a 10 but then he shot a 6 in his second arrow and concluded the first set with another perfect 10. The American, on the other hand, remained consistent with scores of 10, 9, 9 to take the first set 28-26. Stepping up his game, Cowles shot two 10s and a 9 in the second set to win it 29-27. Under pressure in the third set, Akash shot another six that ruined his chances of a gold medal. He finished with two 10s but Cowles remained steady and sealed the issue 28-26 in the third set. Earlier, Akash finished in the last eight of the mixed international team event partnering Turkey's Selin Satir. The duo lost in the quarter-finals to Thailand's Aitthiwat Soithong and Argentina's Agustina Sofia Giannasio.